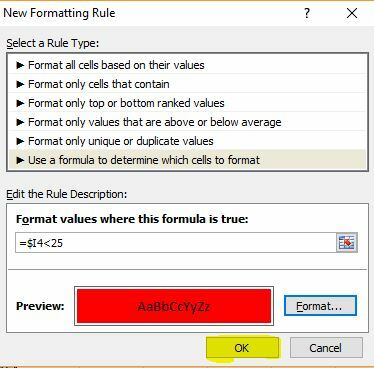 In the Format values where this formula is true field, we need to create a formula that evaluates to either TRUE or FALSE. 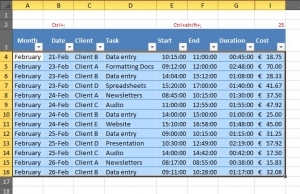 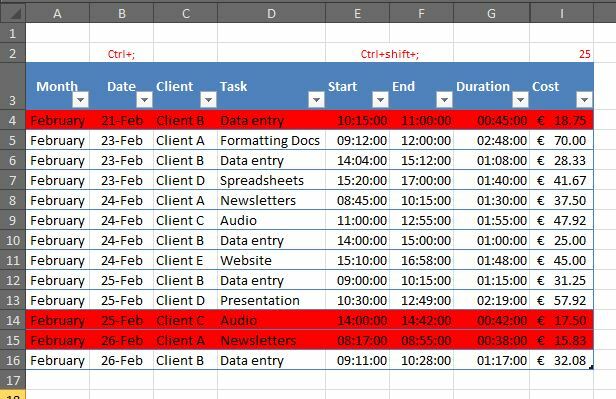 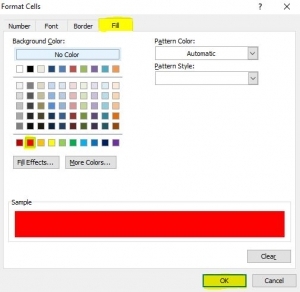 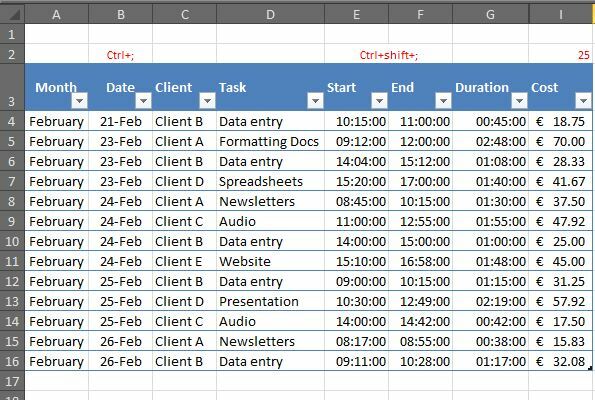 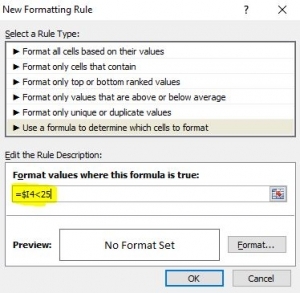 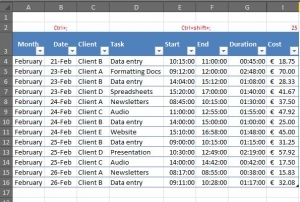 For cells where this formula evaluates to TRUE, conditional formatting will be applied. 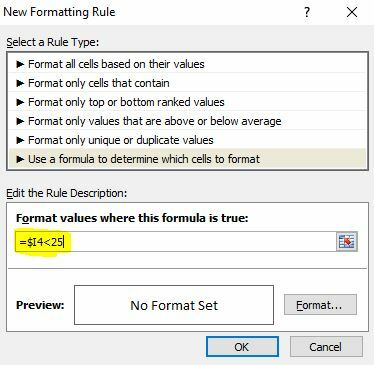 We want to highlight the rows where the value in column I is lower than 25, therefore we need to type in the formula =$I4<25. 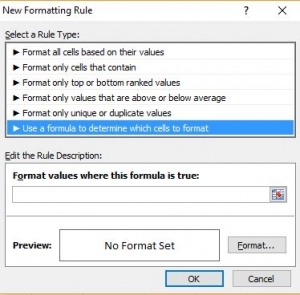 We want to ensure that the conditional formatting for all cells in the selection refers to column I, so we use absolute ($) column references.